Conservation Designer Kittisak Hengsadekul and Composition A Co., Ltd.
Fong-Lee Building is regarded as an example of architectures in flourishing period of Lampang. 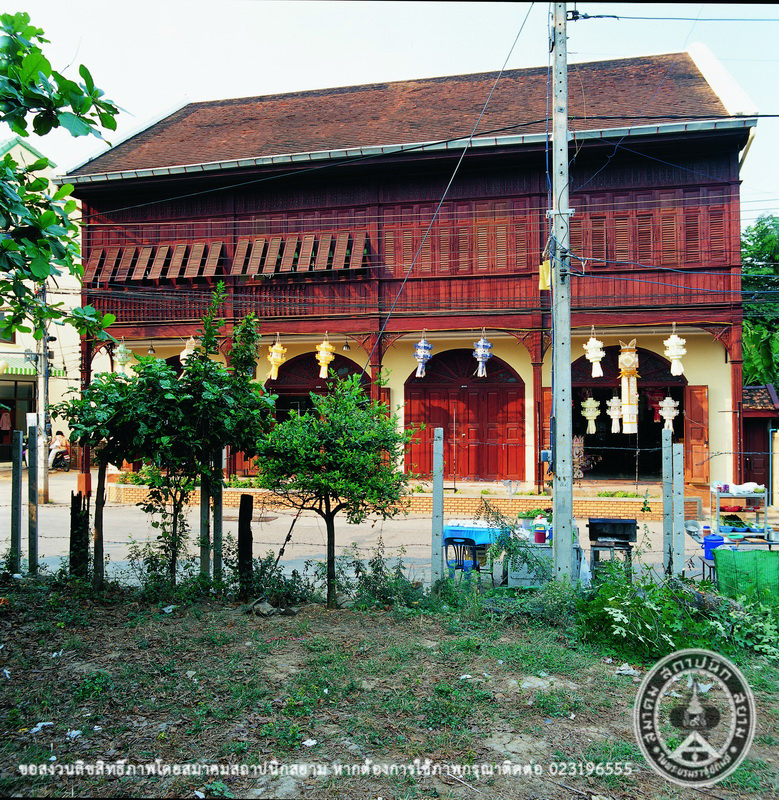 The founder of this architecture was a wealthy Chinese merchant called “Jeanfong” who was a close friend of Chao Bunwahtwongmanit, the last ruler of Lampang. His last name is “Fong Ahpah”. After his death, his children inherited the business and went by the name “Fong-Lee Company”. However, the company has changed hands several times. 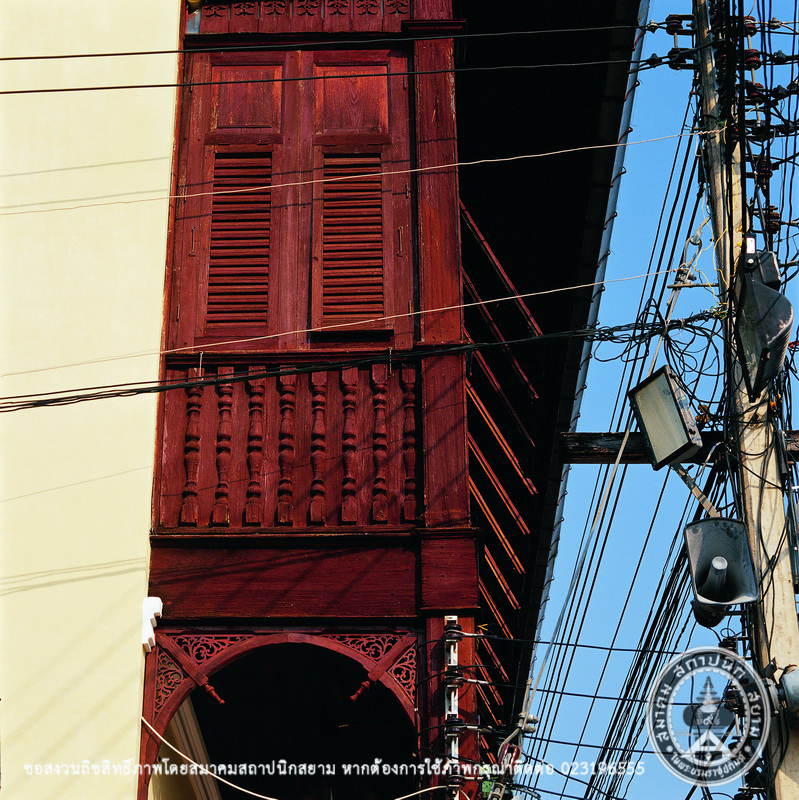 Eventually, the building fell into the hands of Mr. Kittisak Hengsadeekul and Surachai family. 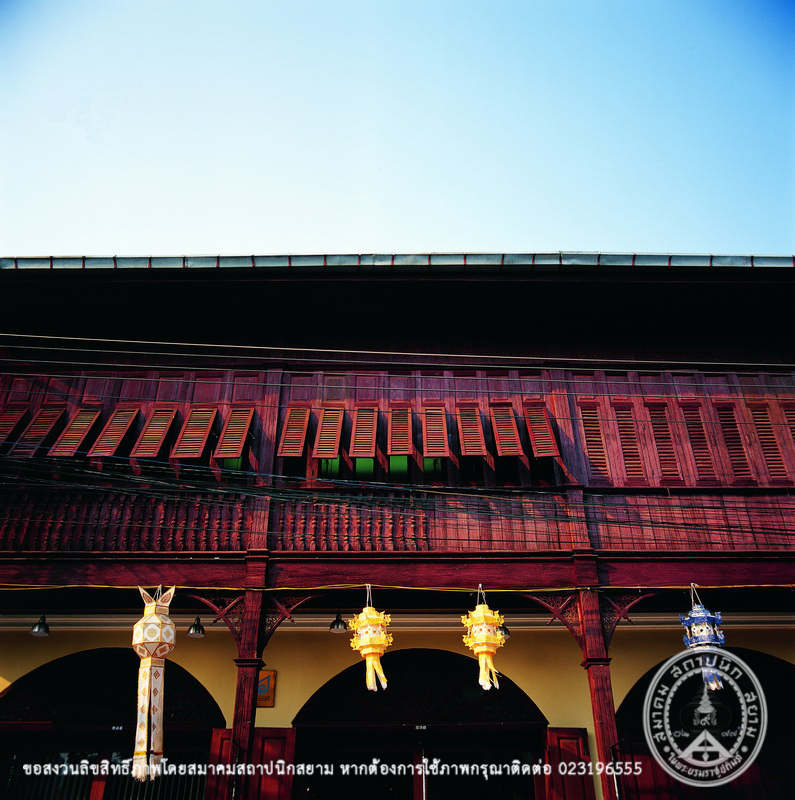 In year 1995, during the renovation, the seal of Bombay Burma, who operated in Lampang, during 1891 – 1892, was found on the top of the column. It can be assumed that the building was built during the period. “Fong-Lee Building” is a row building with 2 storey. It was built from bricks masonry and wood. It is decorated with Kanompangking pattern. Its gable was made in Chinese style. The second floor consists of a bedroom and front veranda. Furthermore, doors on both floor include hinges and folding panels made from Chinese teak. There are air windows carved in a shape of flowers above the doors. 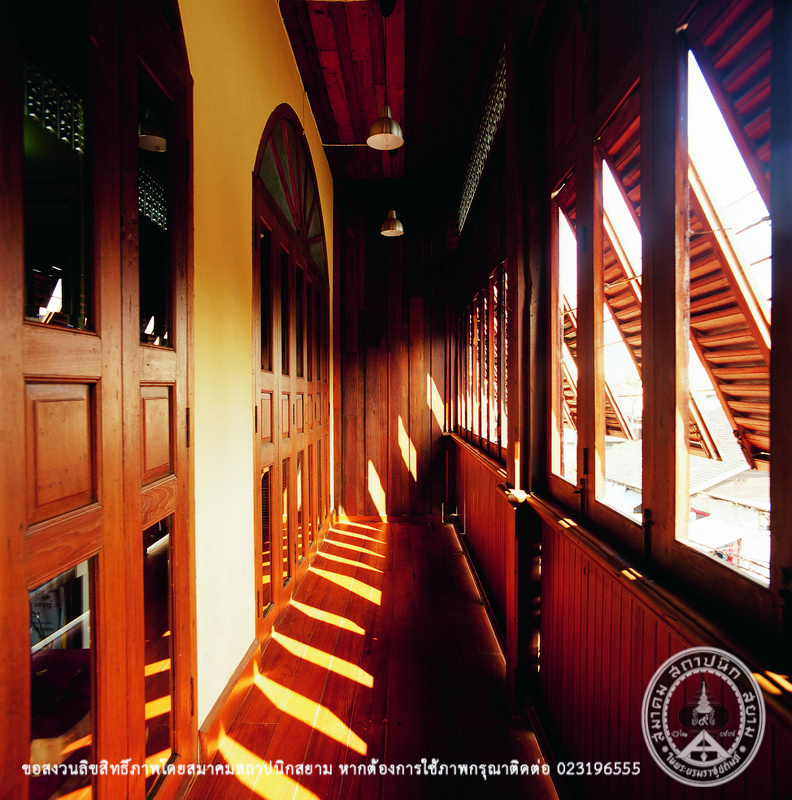 The hinges, bolts and steel rods used with doors and windows are regarded as the first use in the reigh of King Rama V.